What is the 100% Guarantee? Housing Pre and Post SMART Ride 16 for November 2019! On Friday November 15th, and Saturday November 16th I will join hundreds of other individuals who will ride their bicycles or crew from Miami to Key West 165-miles. Our journey will be one filled with hope, filled with pride, and filled with the dream of a future free of AIDS. This year will mark the 16th year of The SMART Ride journey, I have set an ambitious goal to help raise more than the required $1250 because I believe what we do makes a difference (and because 100% of the money you donate will go back to the community). The event guarantees that every penny that I raise (with your help) will be given to AIDS Service Organizations and directed to prevention, education and direct services. 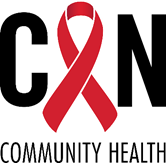 Together we can make a real difference, we can change the world, and help free future generations of living with HIV, while helping those already affected, infected or at risk today stay healthy. We can share the words of Margaret Mead "Never doubt that a small group of thoughtful committed citizens can change the world. Indeed it is the only thing that ever has". Security Code: What is this? Have some "SMART" words of encouragement for Graham? Share them here -- but no sordid stories please, everyone will see this! I would like to cover the fees ($0) for my donation. I support Graham and his efforts to help Aides victims. Go strong. You're top banana for a super event. Keep up the good fight! I love you my Brother! Thank you for doing the ride! Congratulations for biking for such a great cause. YOU make a BIG difference! Have a great ride and thank you for your dedication!! Cant wait to ride with you this year! Awesome job Graham for an important cause!! Wish I could do the ride myself. Go for it. Thank you for doing this!! Thanks for what you do!!! You make a difference. Thanks for your contribution to this cause, Graham. © 2013-2018 TSR Adventures, Inc.The SMART Ride is produced by TSR Adventures Inc., a 501(c)3 not for profit organization whose tax ID is 45-1442103. The SMART Ride is a production of TSR Adventures. A copy of the official charitable registration and financial information may be obtained from the division of consumer affairs by calling toll-free 1-800-435-7352 within the state. Mailing address: The SMART Ride, 1314 East Las Olas Blvd, Ste 302, Fort Lauderdale, FL, 33301.